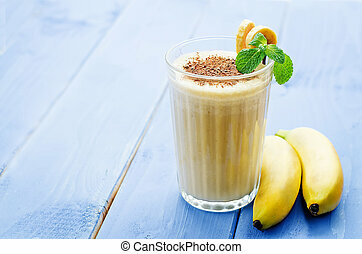 Banana milkshake isolated on a black background. 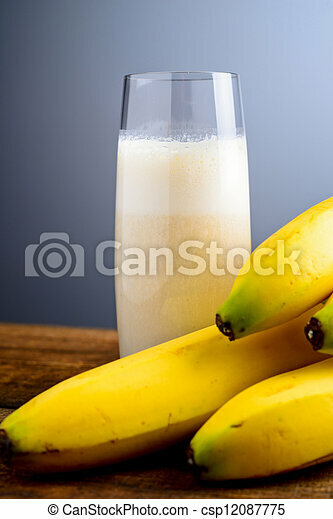 Delicious banana milkshake detail isolated on white background. 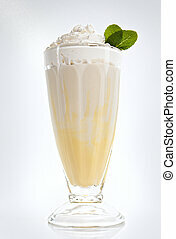 Luxurious summer drinks. 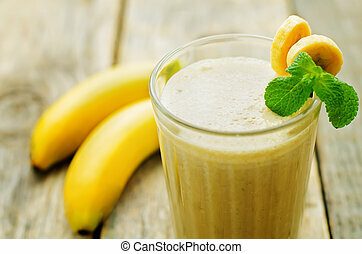 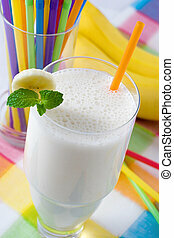 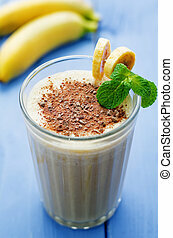 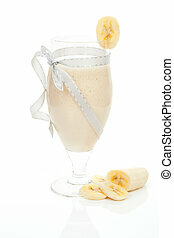 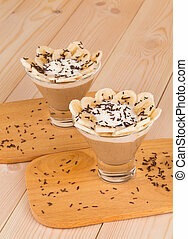 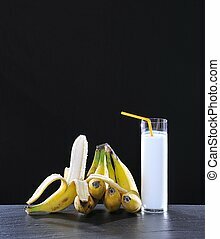 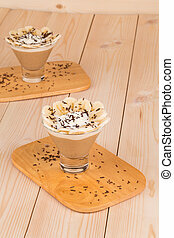 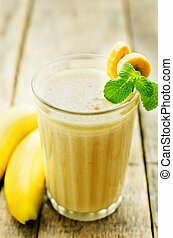 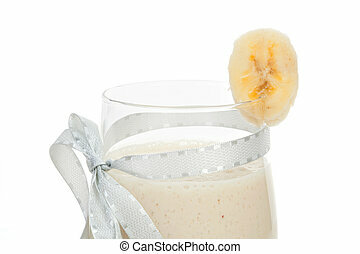 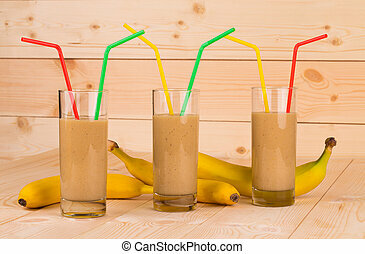 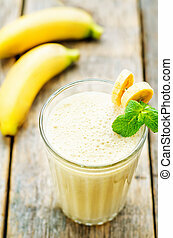 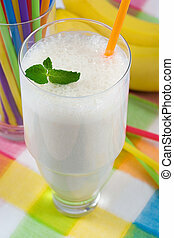 Delicious banana milkshake with cut banana isolated on white background. 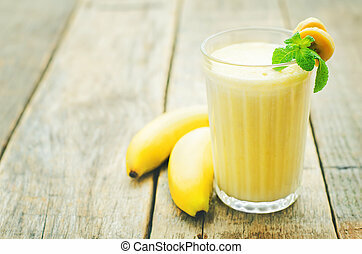 Fresh summer drink.